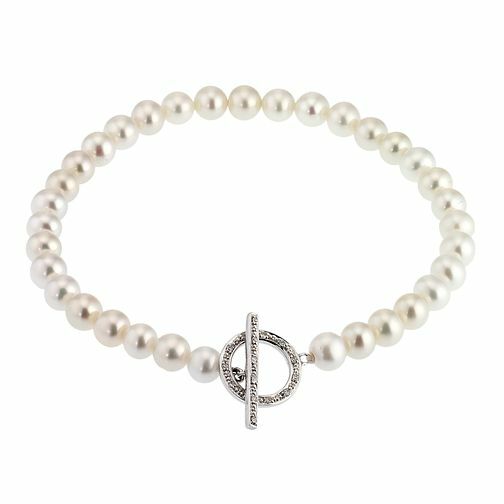 An elegant cultured freshwater pearl bracelet hung on 9ct white gold. Classic style with a chic graduated finish and T-Bar fastener. An elegant gift for an elegant woman. Cultured Freshwater Pearl 9ct White Gold Bracelet is rated 4.8 out of 5 by 5. Rated 5 out of 5 by Anonymous from Beautiful classy bracelet This was bought for a present & both myself & the recipient were very happy with both the design & quality.